First things first. 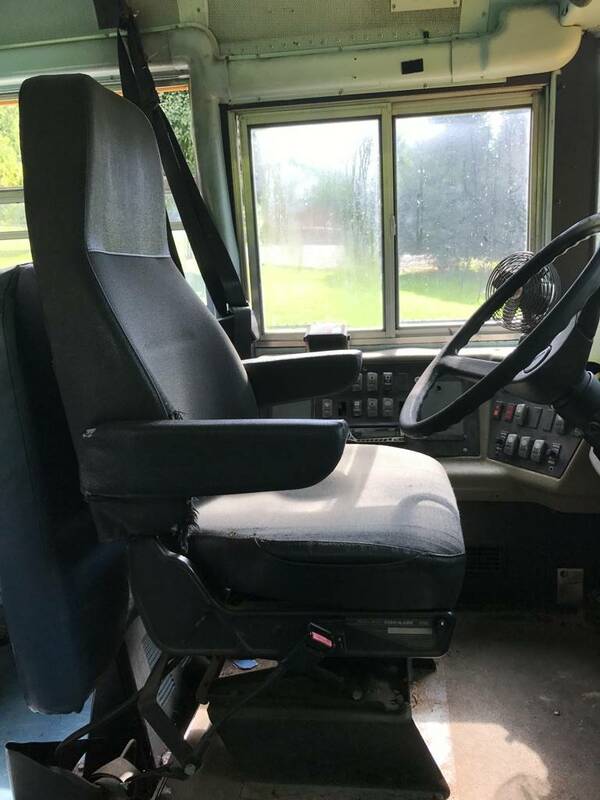 Thank all of you who helped directing me into buying my short bus. I'm starting this thread so you can follow my conversion. Mine is a Thomas Bus with Cummins 8.3 motor. I retired from the City of Phoenix August 4th. I have dreamed of a tiny home for about 10 years. When I stumbled upon a group of people called "skoolies" and I fell in love with the school bus. I will be travelling solo for the most part. I am an artist now and am trying to come up with floorplan that is not cluttered so I have art space. You've even got air conditioning? Well, la-tee-da! You are getting fancy. That's a perdy bus. Are you saying you gave up a cubical with the city of Phoenix? I sure miss my cubical. There's nothing like a good healthy false sense of security working for the government. I realize it's early on, but I am thoroughly enjoying this build. I just wanna see under the hood of this bus! Meh, ya seen one 8.3L shorty, yo've seen 'em all. Keep in mind that everything gets 20% bigger when you put it in the bus! I am beginning to think that very thing, brokedown. I'll get a photo of it. ECCB, I'll get a photo of it.